State Senator-elect Tina Maharath (D-Canal Winchester) has been declared the winner over Rep. Anne Gonzalez after the provisional ballot count. The results in a razor close race for a central Ohio Senate seat have flipped after officials counted the remaining provisional and absentee ballots. The race is just the latest seat to flip from Republican to Democratic. First-time candidate Tina Maharath won after all votes were counted. Democratic nominee for state senate and first time candidate Tina Maharath was declared the winner over Rep. Anne Gonzalez after the Franklin County Board of Elections finished its official tally. Maharath had been trailing by around 300 votes, but received a majority of provisional ballots. Democrats lost one Senate seat around Youngstown on Election Day. Republican Michael Rulli defeated Democrat John Boccieri in that race for the seat held by Democrat Joe Schiavoni. So Democrats keep nine seats in the Senate to the Republicans’ 24. The House also stays in Republican control, though Democrats made a net gain of five seats. Four close races have now been decided - two went Republican and two Democratic, though one of each will go to automatic recount. 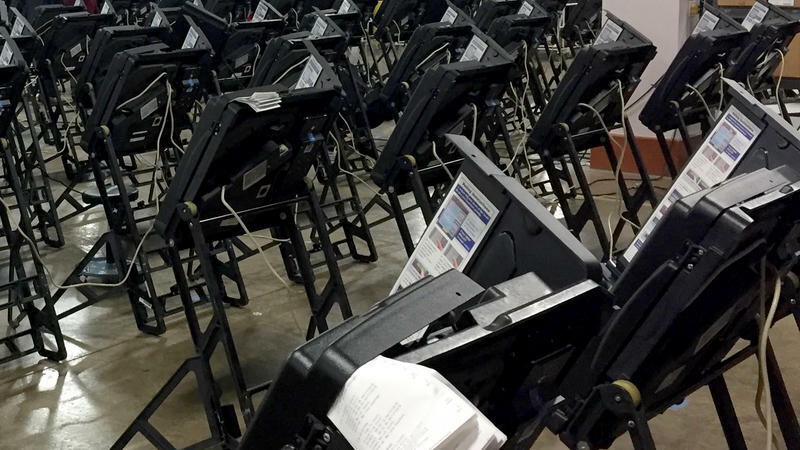 In the months leading up to the midterms, Ohio election officials tried to make their computer systems harder to hack. They role-played how to handle cyberattacks and received help from the U.S. Department of Homeland Security. They say last week’s vote went off without major cybersecurity problems. Now they have to prepare for an even bigger election—the 2020 presidential race.